PENSACOLA, FLA - Since a resurgence in the 1990s, the popularity of Arts and Crafts style homes has soared across America. Meeting the continued demand for products to fill these homes is Hy-Lite, a manufacturer of acrylic block and decorative glass windows. "Our Craftsman style decorative glass window has always sold very well, so it was no surprise when members of our Hy-Lite Designer Advisory Council recommended we add more complementary design styles to our new Home Designer Collection," says Roger Murphy, president of Hy-Lite, a U.S. Block Windows Company. "The Arts and Crafts home style has several offshoots, including Bungalows, Mission, Craftsman and Prairie designs. The new Mission and Prairie window styles harmonize with all of these home styles." At David Weekley Homes, senior design consultant Monique Bolling agrees with Murphy's assessment of the marketplace. "I think the Prairie and Mission windows will work well in our area because our homes have a Craftsman style touch to them," says Bolling, who is based in North Carolina. "I think people will love the linear play on these windows. I can see incorporating them into bathrooms, closets, and some dining spaces." Across the country in California, Gabby Barton with KB Home also anticipates strong success with the Mission and Prairie window styles. "In southern California the Craftsman, Arts and Crafts and Prairie styles all continue to be very popular architectural styles with our customers in suburban areas," says Barton, southern California studio director, with KB Home. "I don't see the trend going away anytime soon. "Our architecture department designs our homes with windows that have a Craftsman look and feel. They also ensure the homes are designed with decorative exterior features like wood siding and window trim, such as shutters, to help enhance the Craftsman look. Exterior lighting, front entry doors and garage door styles are also selected to complement this look." Barton relates that in southern California, where footprints are tight, privacy windows with the Craftsman style are gaining in popularity. "These fixed windows are created with silkscreened tempered privacy glass," says Barton. "That's a product our team is gravitating to in order to fulfill both a design style and the challenges of space and privacy." 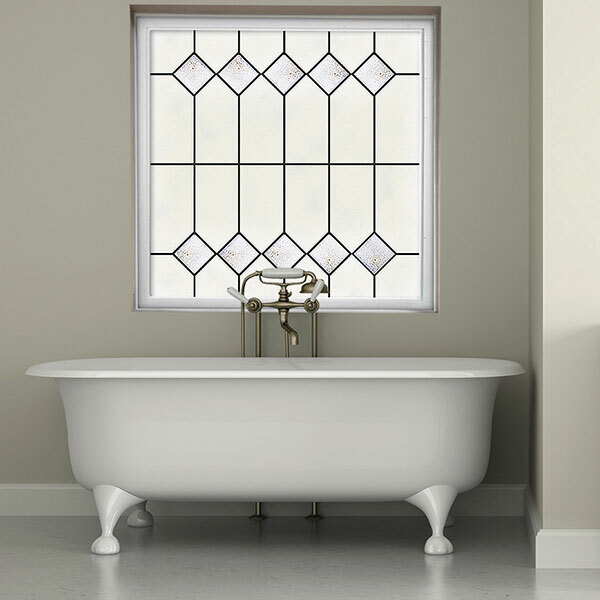 The Mission style window from Hy-Lite is a true Craftsman-inspired design constructed with silkscreened tempered privacy glass and clear diamond shapes on the interior. The Prairie style window features a simply elegant, transitional design with clean lines in the perimeter of the window. At 84 Lumber in Huntersville, North Carolina, Nick Mann sold the first Mission style window just a week after the product was launched. He recommended the window as a design alternative to a window originally drawn on new home plans by residential designer Jason Reid with Century Designs, Inc. for his personal home. "The Mission style window appeals to the Craftsman style designs that are popular in our market," says Mann. "We've sold Hy-Lite acrylic block windows in the past, but we believe the new designs being offered in the Home Designer Collection will appeal to an even wider range of builders and homeowners." According to Reid, the window will be the ideal solution to a privacy issue in his home. "We plan to have this new Mission window installed in the master bath," says Reid. "I can easily see how it will add both privacy and style to the room. Since I'm a designer I wanted something with a real 'wow factor' and I got it with this window. As a bonus, the Mission design of the window complements other design elements of our new home!"